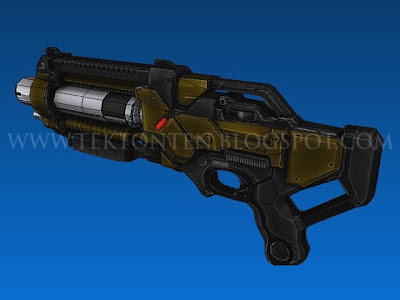 In the universe of the Mass Effect video game, the M-11 Wraith Shotgun is the favored weapon of mercenaries, pirates and slavers. This full scale paper model of the M-11 was created by Techdollogic. Both Pepakura PDO and JPG versions of the template are available and may be downloaded here. "A magical document that reveals all of Hogwarts School of Witchcraft and Wizardry. Not only does it show every classroom, every hallway, and every corner of the castle, but it also shows every inch of the grounds, as well as all the secret passages that are hidden within its walls and the location of every person in the grounds, portrayed by a dot." 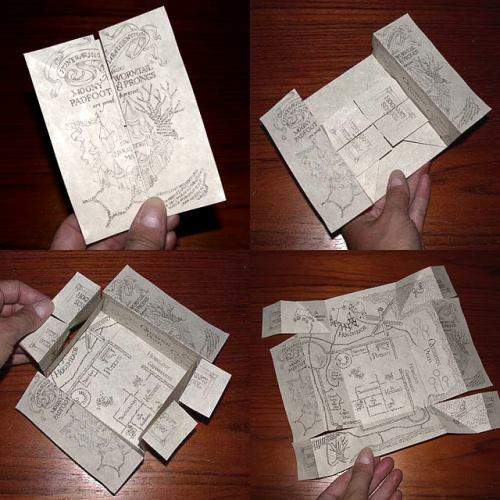 This easy DIY mini Marauder's Map was created by Britta Peterson in 2005. A PDF of the map along with instructions may be downloaded here. 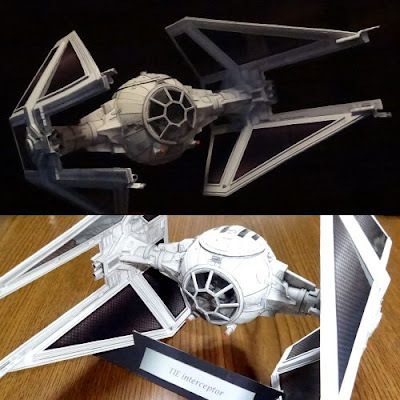 Complete with a finished interior, this TIE Interceptor papercraft was created by Japanese papercrafter Uhu02 who is well known for his highly detailed paper models of vehicles and robots from science fiction movies. Like most of Uhu02's models, the TIE is available for a limited time. The PDF template may be downloaded here. The first appearance of a TIE Interceptor in a Star Wars movie occurred in The Return of the Jedi. 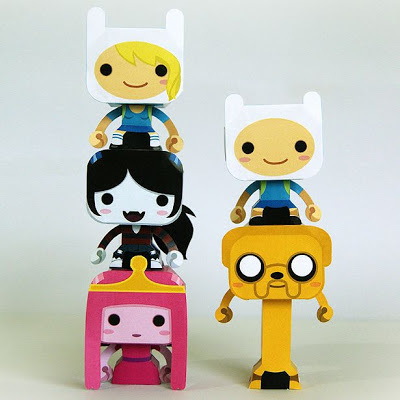 Gus Santome has designed dozens of mini paper toys, but these characters from the Adventure Time animated series are my favorites. Pictured are Fiona, Marceline, Princess Bubblegum, Finn and Jake. 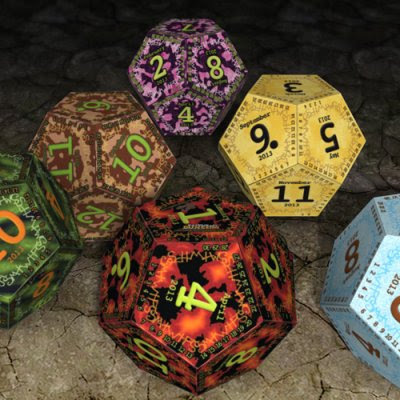 The PDF templates for the toys may be downloaded here. 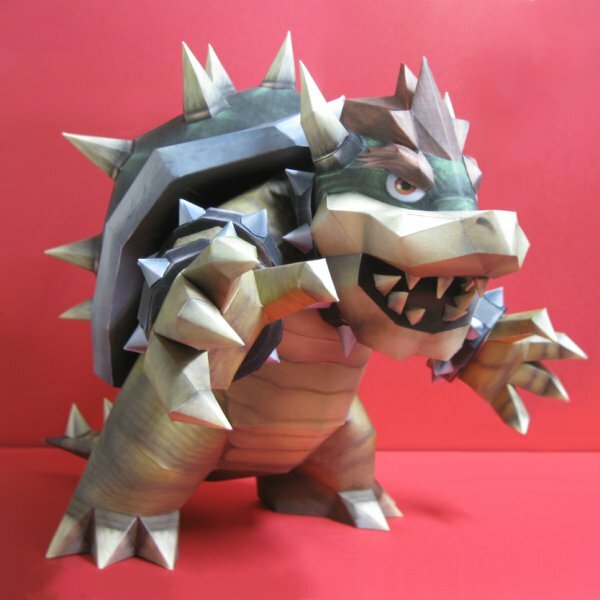 A couple of years ago, two of the best papercrafters around (Brandon and Fezco) collaborated to create this Bowser paper model. King Bowser Koopa is the primary antagonist in the Mario series of video games by Nintendo. This particular version of Bowser is how he appears in Super Smash Bros. Brawl game. 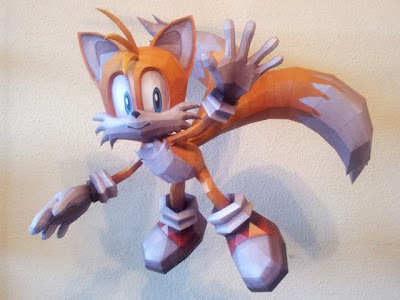 Templates for the model are available at Nintendo Papercraft. The build photo above is by DeviantARTist Chartodileon. Here's another great papercraft Skyrim helmet from Kuraudo3. 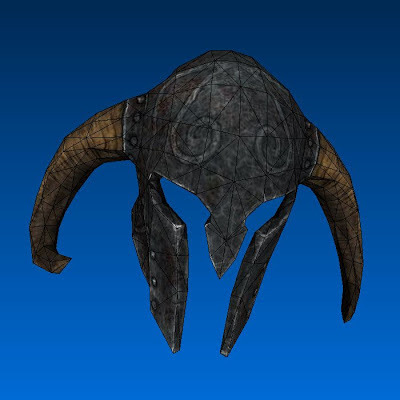 This helmet is the Ancient Nord Helmet which is a piece of heavy armor similar to the Iron Helmet. A Pepakura PDO is available upon request from Kuraudo3 by contacting him here. If PDO's are not your thing, I have created Letter and A4 size PDF templates which may be download here. 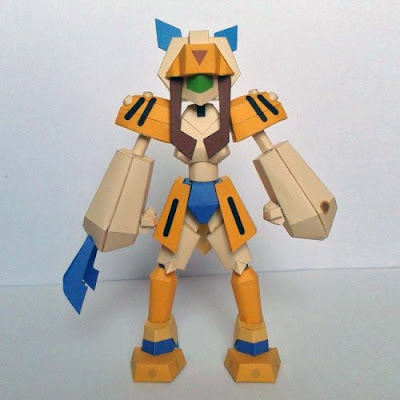 Sumilidon is a Medarot (battling robot) from the Medabot videogame/anime franchise. Sumilidon's look is modeled after that of a saber-toothed tiger. On his right arm is his primary weapon called a Flexor Sword. Templates for this paper model of Sumilidon are available in both PDF and Pepakura PDO format and may be downloaded here. 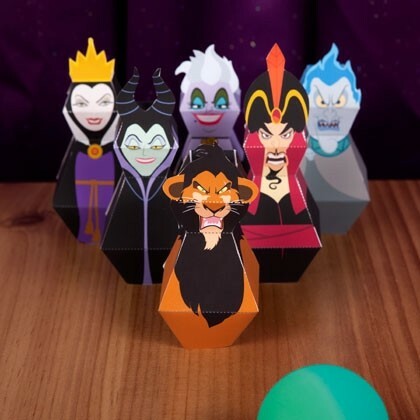 These papercraft bowling pins shaped like Disney villains makes a fun game for preschool kids. Older kids and adults might like building the pins too. Included in the lineup are Scar (The Lion King), Jafar (Aladdin), Maleficent (Sleeping Beauty), Hades (Hercules), Ursula (The Little Mermaid), and The Queen (Snow White and the Seven Dwarves). The template for the bowling pins is offered by Spoonful and may be downloaded here. 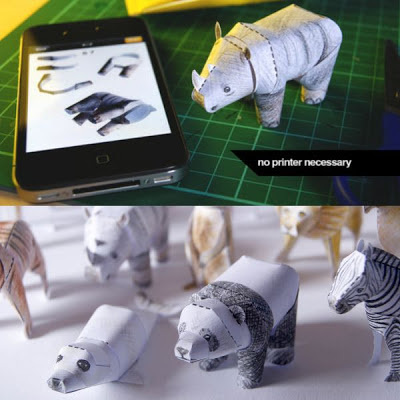 "You have 2 options to make your animal: 1) Print it! Save the instructions to the photo album and print them. The instructions are outlined, so you have to color them. The PLUS version features colored instructions. 2) Draw it! Lay a piece of paper over your iPhone or iPad and draw the lines through the illuminated paper. No printer required!" The free app is currently available for iPhone and iPad and may be downloaded here. See more build photos of the animals here. 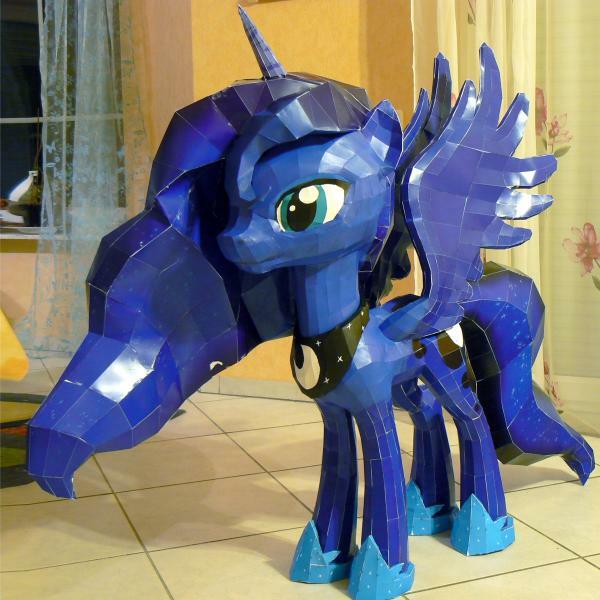 At 50" (127 cm) tall, this is a king size Princess Luna paper model! Princess Luna is a character in the My Little Pony Friendship is Magic animated series. As you can see, Luna is a horse that has characteristics of both an unicorn and a pegasus. The 70 page template is available here from the model's creator, Znegil. Znegil says building the model is not overly difficult, but that it did take him nearly 240 hours to complete!